Soooooo, the hubby's workout equipment sold quick and that meant that my NEW craft room was empty! I have been a procrastinator....pro---cra---sti---na--tor! Yep, just about that slow on relocating my craft space. You see, my stupid silly house has two staircases and no, this is not because it's fancy.. It's because it's goofy! The loft stairs are in the living room (which is where my old craft space has been) and the new Art Studio (love the fancy name) will be in the main upstairs, down the hall from the kiddos! See, I was dreading the double duty stairs while moving my craft junk! And, to top it off, we have made our house locked down with baby gates.... NO kidding, baby gates galore! Baby Gate Haven! Ha, an intruder wouldn't even know how in the heck to get around this madness! Most adults can't even figure out those boogers! Back to the matter at hand - I FINALLY began the transition tonight! A sweet friend has donated the furniture and it is working quite perfectly! I can't wait to show you the FINAL art studio space - I need a sign for this room! "Crazy Woman Sewing - Watch Out, I'll Put You to Work!" 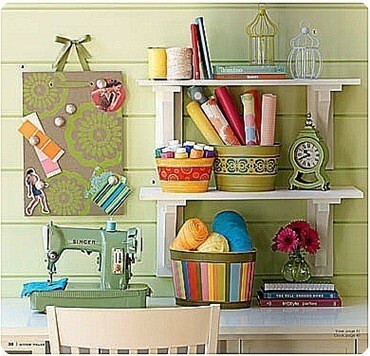 What better place to find organization and craft room inspiration than Pinterest!!?! Here's what I've been collecting! Posh House Originals on Pinterest :::::: Please Follow along! Leave me a comment and I'll follow you back! Please follow my link above and go to the original source if it is available! I am not claiming these as my own! Give credit to the designer/owner if it is available! Here's a few I love dearly! I wish: Organization and Fabric Collection! NOTE: Please click on my Pinterest link above to give the owner/designer credit! 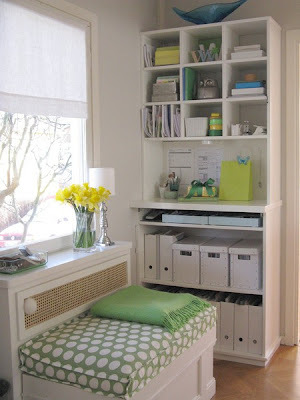 These are simply inspiration photos to aid my redecorating process! Great ideas from all! I can't wait to see it when it's complete! I can't either Audrey! Went shopping for basket today! I cannot wait to see your finished craft room! 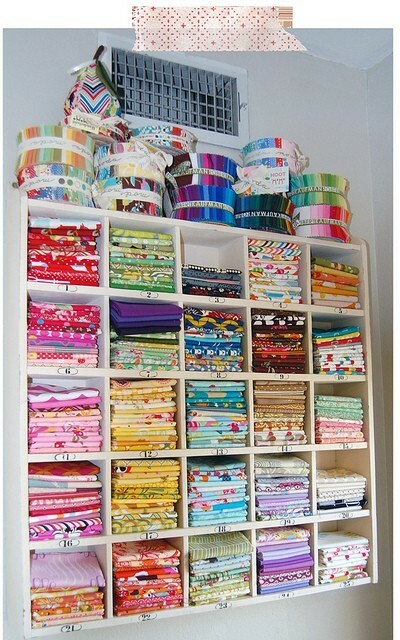 AND I would DIE if I had that much fabric and that organization system....LOVE! !